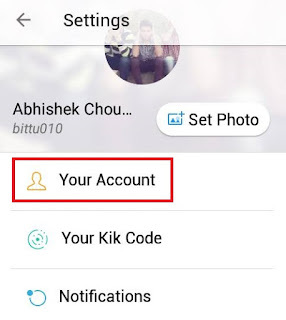 How To Delete Your Kik Account Permanently? Kik is growing very fast with over 240 million downloads on both google play and app store. It is as similar as BBM messenger, It allow us to send text and voice messages to other kik users. This can be quite addictive and might be decreasing your productivity or wasting a lot of your precious time. So to kill this addiction the best way is to simply delete your kik account. Kik takes lots of memory and thus it decreases performance of your device. 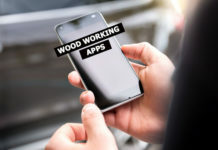 You are addicted to it and wasting lots of time. Tired of so many messaging apps and want to remove some. You can’t register a new account with the same username and email as it is deactivated. You cannot directly delete the account using the app. 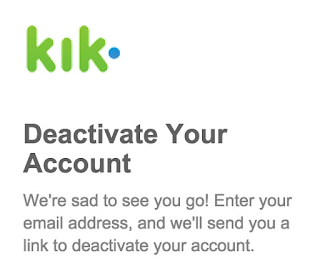 To deactivate your kik account completely you first need to reset it from your smartphone and then you need to use kik’s official deactivation page to permanently delete your account. Launch kik on your smartphone and tap on settings. Tap on Your Account option as shown below. Tap on Reset Kik Messanger. You’re done. This will remove all your data including friends and chats. Now to deactivate your kik account permanently follow the below guide. 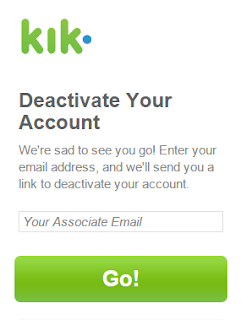 Navigate to ws.kik.com/deactivate to request deletion of your kik account. Now enter the email address which you have used to register your kik account. 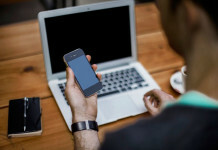 Check your email, You will get an email regarding your account deactivation. If you haven’t received the email yet then be patience and check it out after 5 minutes. This should permanently delete your kik account. If you have any doubts then do add them in comments. Also read our article on how to block Facebook on your computer. this doesn’t delete the account. it states very clearly in your picture inserts that it is “deactivates” your account! If i didnt reset my kik account but permanently deactivated my account will that also wipe my contacts and chats?